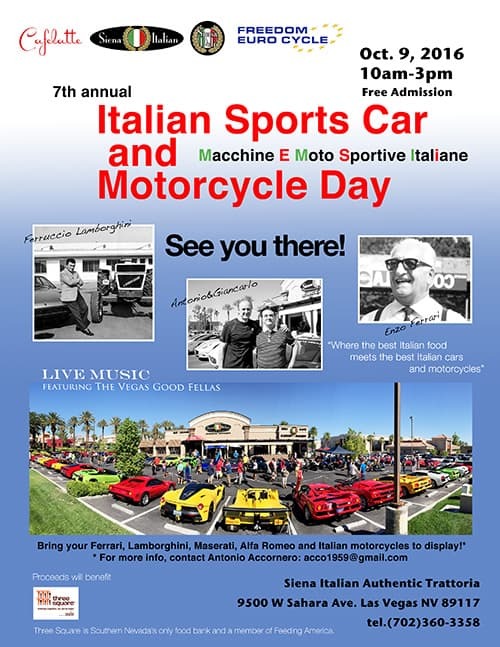 Join us at the 7th Annual Italian Sports Car Motorcycle Day is this Sunday. Always a great time, this awesome event draws a fantastic crowd of Italian exotic sports cars and outrageous motorcycles. Always a lot to see and it’s always free.